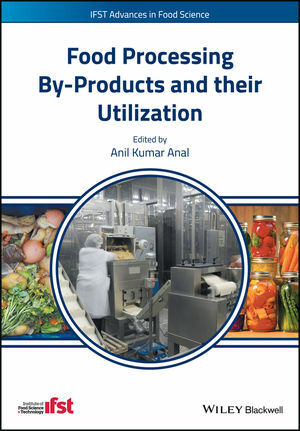 Food Processing By-Products and their Utilization is the first book dedicated to food processing by-products and their utilization in a broad spectrum. It provides a comprehensive overview on food processing by-products and their utilization as source of novel functional ingredients. It discusses food groups, including cereals, pulses, fruits, vegetables, meat, dairy, marine, sugarcane, winery, and plantation by-products; addresses processing challenges relevant to food by-products; and delivers insight into the current state of art and emerging technologies to extract valuable phytochemicals from food processing by-products. Food Processing By-Products and their Utilization offers in-depth chapter coverage of fruit processing by-products; the application of food by-products in medical and pharmaceutical industries; prebiotics and dietary fibers from food processing by-products; bioactive compounds and their health effects from honey processing industries; advances in milk fractionation for value addition; seafood by-products in applications of biomedicine and cosmeticuals; food industry by-products as nutrient replacements in aquaculture diets and agricultural crops; regulatory and legislative issues for food waste utilization; and much more. This bookserves as a comprehensive reference for students, educators, researchers, food processors, and industry personnel looking for up-to-date insight into the field. Additionally, the covered range of techniques for by-product utilization will provide engineers and scientists working in the food industry with a valuable resource for their work.